Bobby Wagner has found consistent success by following the same daily routine. Now the Seahawks linebacker has been named to a fifth consecutive Pro Bowl because of it. 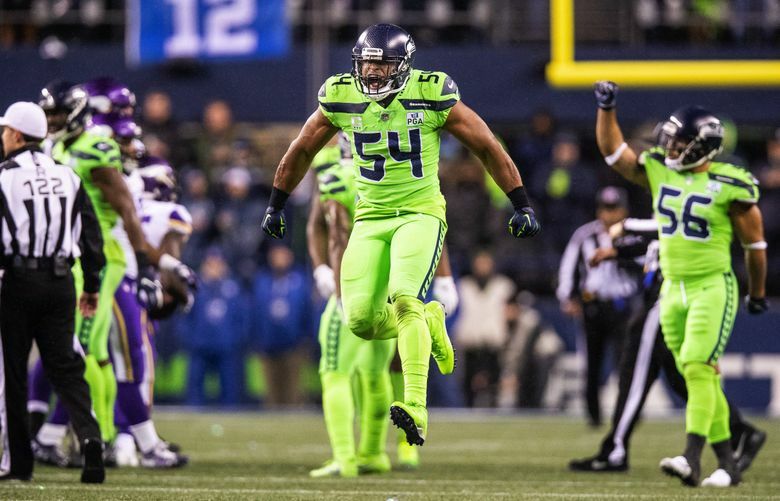 If you want to learn the secret behind Bobby Wagner’s success, you better ask about the oatmeal. But the 2018 season brought with it a new system. But in the big picture, the oatmeal is everything. The consistency is everything. This is how the seventh-year linebacker lives his life. “Honestly, I pride myself on finding a great routine and I feel like I’ve got a great routine down — from the way I eat to the way I prepare to the way I approach the game,” Wagner said on Wednesday. “If you’re here at like 5-something in the morning, I’m going to be sitting in the same chair eating the same meal probably at the same time every day. Wagner is nothing if not consistent. The 6-foot, 245-pound linebacker arrives at the Virginia Mason Athletic Center at “five-something” every morning. He sits in the same seat and eats the same meal. Then he watches film and attends linebacker meetings, where he watches more film. Then he gets treatment and he watches more film. Then there’s more meetings and he meets the media. Then he gets an ice bath and watches more film. Then he practices. Then he watches more film and does yoga, and then he watches more film. Then he repeats, to infinity and beyond. “(As a) rookie, I’m looking at myself and I’m trying to figure out which ways I can drop better, which ways I can see something faster,” Wagner said, explaining what he looks for in film study. “Now it’s more so just, I’m watching film to see how they’re going to attack the defense and see if I can get a key from somebody watching stances on other teams. Wagner goes to bed between 11 p.m. and midnight every night, and then he wakes up and does it again. But the secret to his prolonged success is not just what he does, day in and day out. It’s also what he doesn’t. And, make no mistake: in his seventh season in Seattle, Wagner is getting better. “He just seems like he’s a little bit better,” Seahawks head coach Pete Carroll said of the 28-year-old linebacker. “He’s made more big plays, more significant plays that have affected the game than ever. The thing I love about looking at great players is, ‘Do they show that ability to do it year after year after year?’ I think that’s what greatness is all about. Perfection is impossible, but Wagner’s been pretty darn close. In 13 games this season, he’s piled up 114 tackles, 11 passes defended, two forced fumbles, one fumble recovery, one sack and the longest interception return in team history (which he took 98 yards for a touchdown). He’s one of two linebackers who haven’t missed a single tackle this season, according to Pro Football Focus. On Tuesday, he was named to the Pro Bowl for the fifth consecutive season. How’s that for consistency? How’s that for a routine? “I think talent got him here, but (it was also) his work-ethic, his relentlessness of gathering information, trying to make himself better, improving, always asking questions, always (being) in the building late at night, early in the morning, watching film, trying to figure out different defenses and understanding the concepts,” said first-year Seahawks defensive coordinator Ken Norton Jr.
Wagner is getting better and better … by becoming more and more consistent. The players around him have changed. The coaching staff has changed. The expectations have changed. But Wagner’s routine has stayed the same.